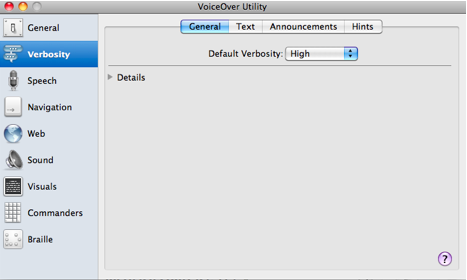 The VoiceOver verbosity settings determine how much detail VoiceOver will read back. 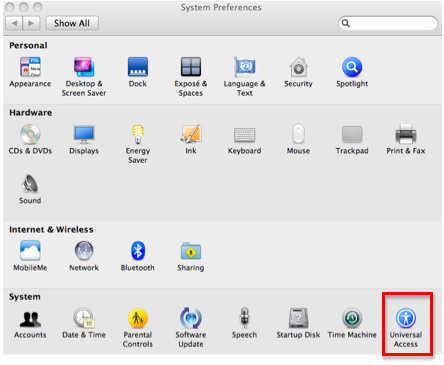 These settings are accessed through the VoiceOver Utility found in the Seeing pane of the Universal Access preferences. 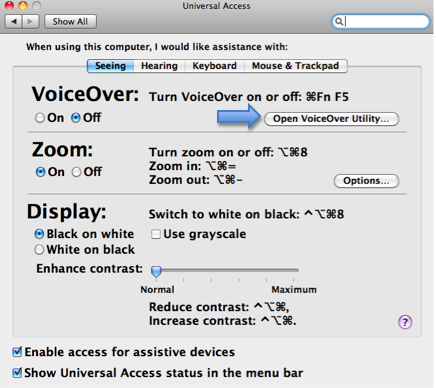 In the Seeing pane, choose Open VoiceOver Utility. Select the Verbosity pane from the categories on the left side of the window. In the General tab of the Verbosity pane, use the Default Verbosity menu to select a verbosity level. This is the amount of detail VoiceOver will read back to you. 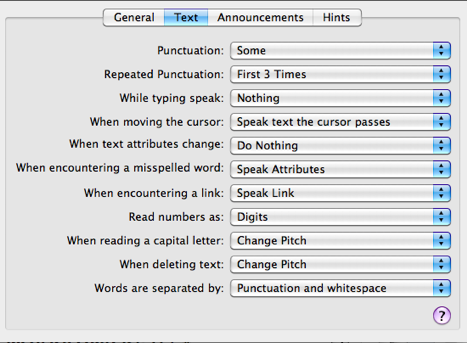 In the Text tab, use the pulldown menus to adjust how VoiceOver will handle punctuation, typing, links, numbers, capital letters and other text. A more complete description of each verbosity setting is available on this PDF document.